Wow, I was just looking back at my first blog post and it was 4/5/08! I have had this blog for over two years now, I can't believe it! So obviously I haven't been paying attention and am a little late (20 days late) but oh well, how about some fun blog candy to celebrate?! But first, lets check out one more MDS (My Digital Studio) project I did recently. This page is of my friend Ana's kiddos. Aren't they cute?! Samuel (aka Samo) is so funny and fun to be around! I've been getting to know him over the past 2.5 years and he is a riot, I love it when he comes to work and I get to entertain him. :) The other cute little tottlet is his sister Eva. She is going to be a year soon, I can't believe it! This kid is already talking, has been for a few months, saying Mama and what not, she must learn it from her big brother. Anyway, they are so sweet together. 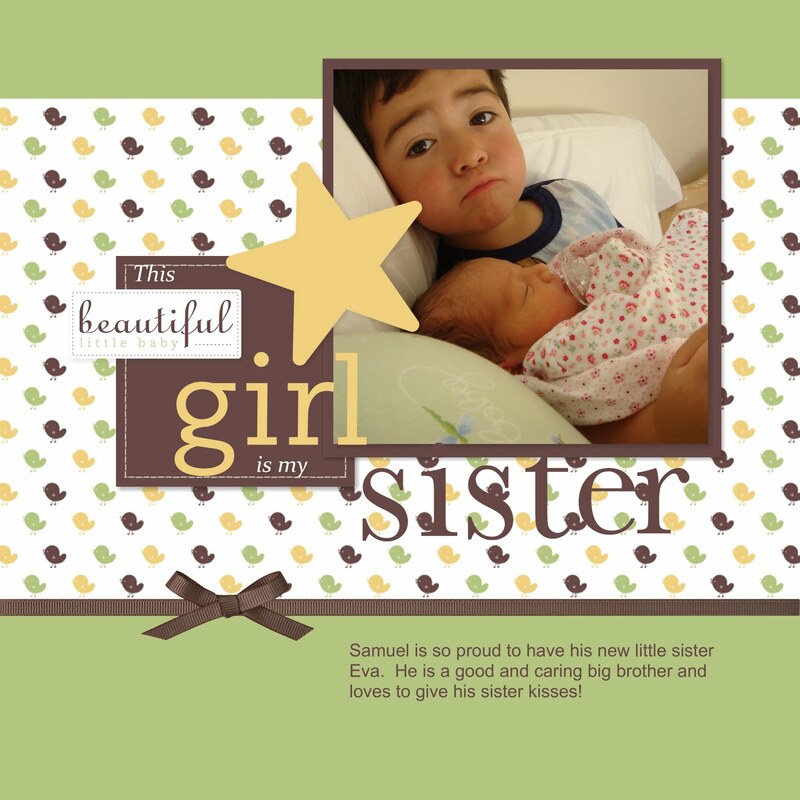 Samo is such a good big brother, plays with Eva, kisses her, feeds her and makes her laugh. They are cute together. So here is the page I made of them with Ana's permission. I used one of the MDS Designer Templates Rock-a-bye Girl. It was so quick and easy to put together, only took about 15 minutes. I hope Ana and her family like it! There are multiple ways you can win. You must leave a comment for each entry in the comment section, so I know how many entries you submitted. Winner will be picked on April 30th, 2010 at 8:00 pm PDT, so be sure to have you entries in before then. Here's how you can enter! Go to my webpage and sign up to be on my maililng list, click here. 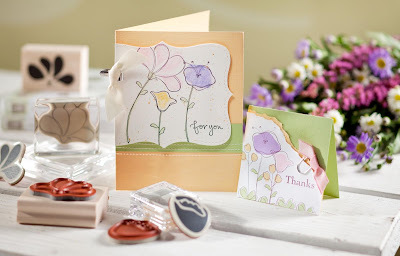 Thanks for stopping by and I hope you enjoyed and have a wonderful day! Here's to you Senior Shikiar! My boss is retiring in the next few weeks. :( While we aren't super close, I do like him and will be sad to see him go. It is kinda weird to even think about, and of course it is making me a little anxious and eager for my own change. Although it won't change my job much overall, it does have some underlying implications- my foundation is shifting. I just have to remember that the only thing that is guaranteed in life is change and here it is! Soooooo, what do you care? Well, I make most of the cards for my co-workers work related occassions (office birthdays, going away, congratulations, etc). I have another friend in a different department down the hall who makes the cards for her group :). It is fun and rewarding to do. 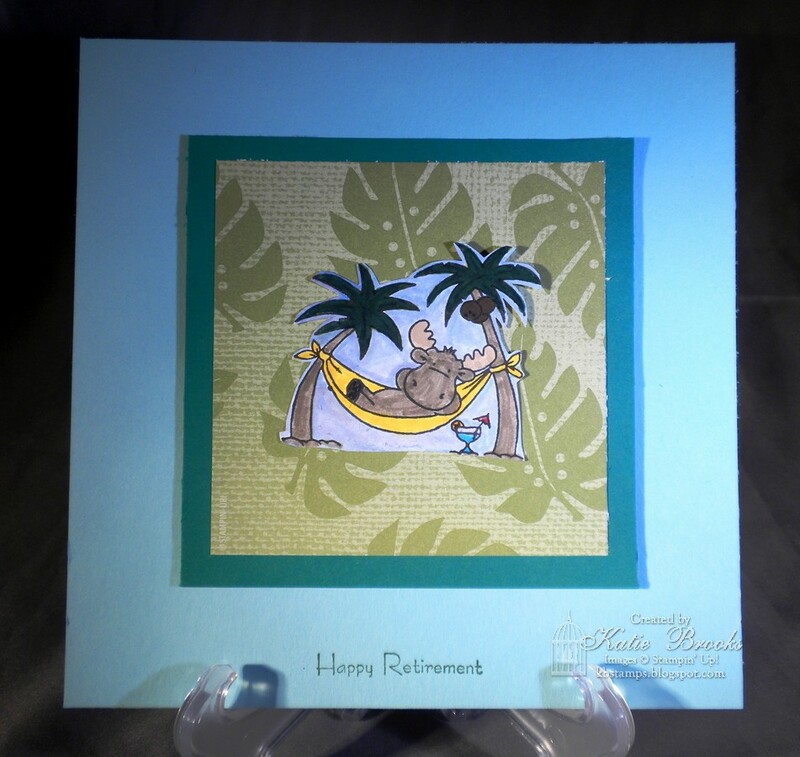 Anyway, I made a retirement card for my boss. Kept it masculine and simple, used some of my new DSP from the summer mini. 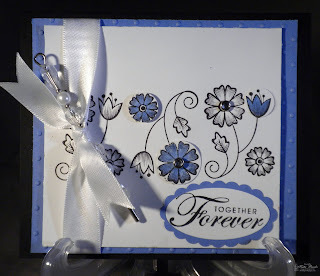 I used a stamped image my friend Tracey sent me a long time ago, I was just waiting for the right occassion and here it is! I think it is appropriate, don't you? I make these cards big (6X6) so everyone has room to sign. Anyway, hope you have a day similar to this little Riley here (Hannah Stamps), nice and relaxing. Remember to go with the flow and roll with the changes! Did you know today is Earth Day?! Wow, what a WONDERFUL day to celebrate, I mean after all, if it wasn't for thsi planet, we wouldn't be here right! I love this place! What wonders it holds, the amazing sights, the brilliant colors, it is just fabulous. Although I am pretty good at using biodegradable projects and recycling, I want to do a little more today, I want to find one more thing I can do better...and here is why- check this dump out in the middle of the Pacific! 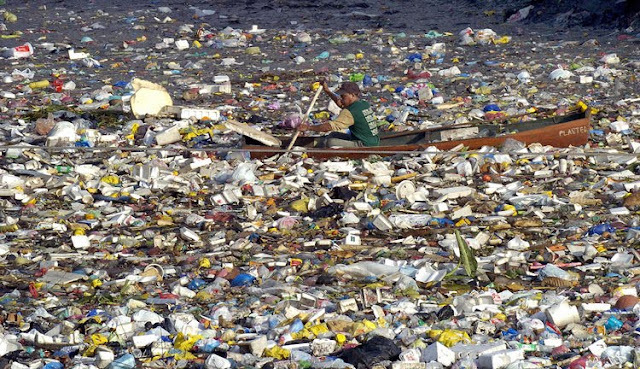 This crazy place is called the Great Pacific Garbage Patch, twice the size of Texas! Apparently on is forming in the Atlantic as well. Does that blow your mind or what?!?! So I don't want to be a total downer today, I just want us all to do our part, sounds easy enough right. Remember, in addition to reducing waste and recycling, we can REUSE too. 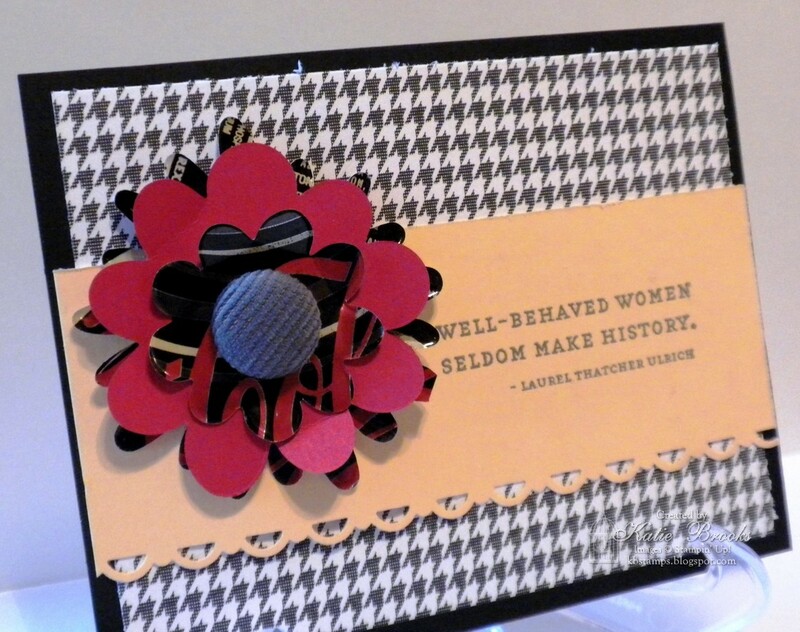 Check this card out I made last night! 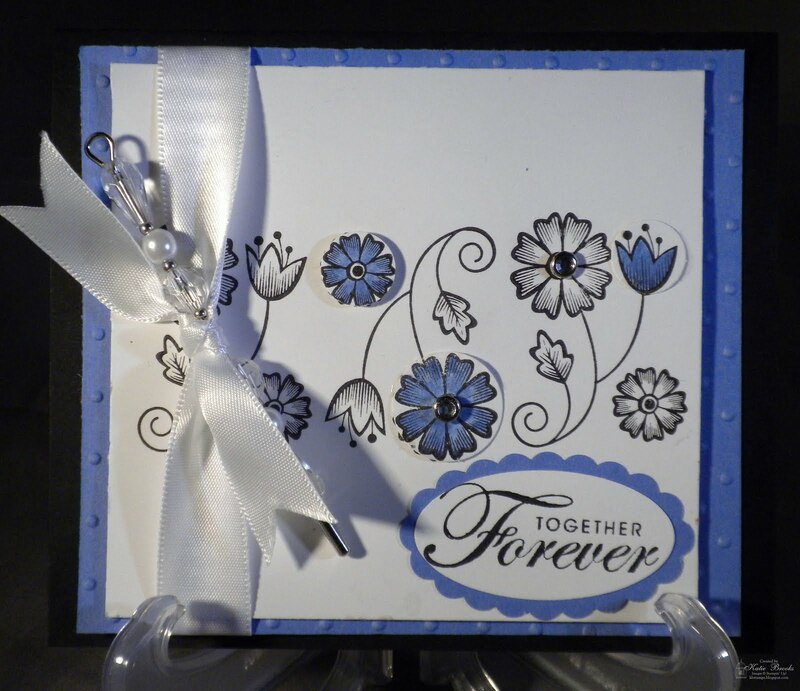 I cut, cleaned and flattened a Vanilla Coke can to make the flowers. Simply put them through my Big Shot (this sucker can cut up to 50+ different kinds of material- leather, fabric, certain types of metal...) with my Flowers Layers #3 die and whalah! In addition, I aways keep my useable paper scraps unless they are about the size of a quarter or smaller (I keep those sometimes too!) 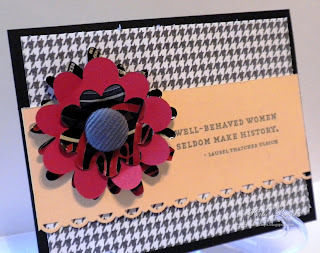 and this card used scraps from Night and Day DSP, Real Red, Basic Black and Apricot Appeal Card Stock. 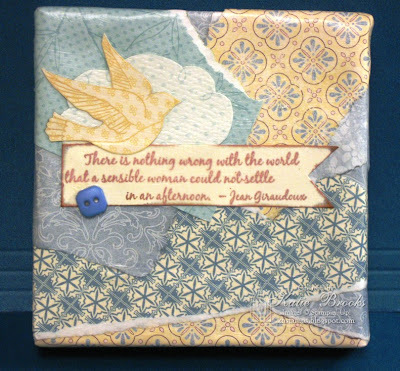 Anyway, just think of all the possibilities if you reuse other things and keep scraps... ENDLESS! So go have a great day! Apreciate the Planet and do something good for it. In the end you'll be doing something good for you too!!! Well I have a few updates to give. The first is that I decided not to enter the Artisan Award contest. I have a lot of great things, but after my second 3D didn't come together as I wanted it to for about the 5th time, I got really frustrated. I took half day off work today to come home and work on it and it still wasn't working out. Don't worry, this isn't a total downer, I swear, keep reading! After a little time to veg (I watched a movie) I decided it was OK if I didn't enter, I decided I could enter some of my items in SU! 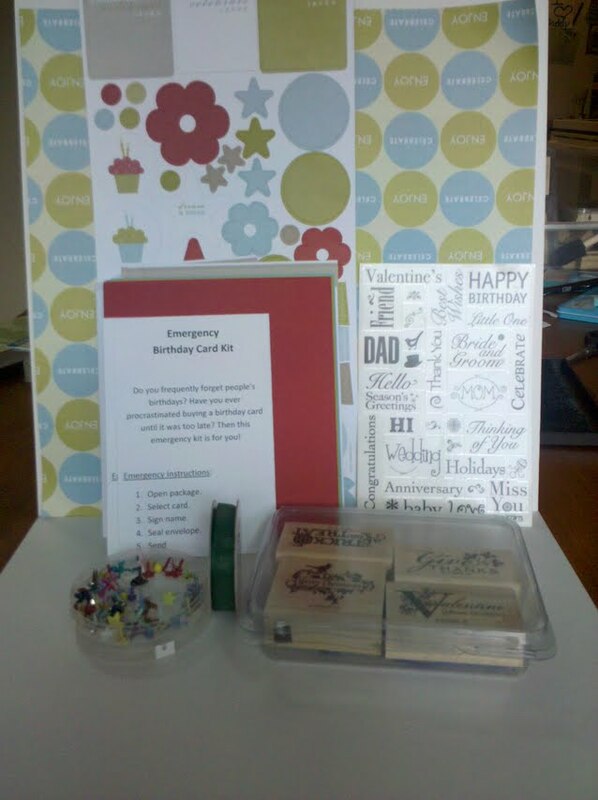 's monthly contest or some other catalog contests. In actuality, I did learn a lot about myself and realized I am more creative than I thought I was, my other 9 projects are pretty good and miles apart from what I could create when I started this business, so not all is lost. :) All in all, I feel pretty good about myself right now. I wanted to thank some of you for that, for your help and encouragement, it really means a lot and I couldn't have done it without you! THANK YOU! Now, onto something sweeter! 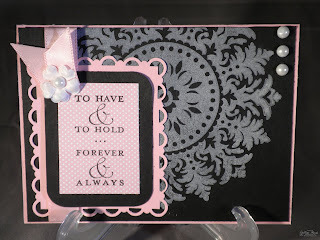 I wanted to show you one of the cards I made this week during this whole process. 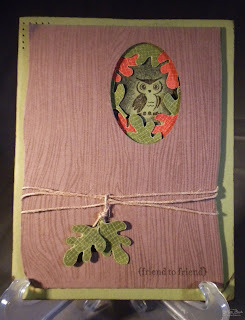 It wasn't going to be one of my entries, but it is kinda a cute card anyhow. I made this card using this weeks Mojo Monday sketch number 133. Here is what the sketch looked like. My card is slightly different, but mostly the same. I wanted to use this little Just Buzzing By set so I could use my pastels to watercolor the image. Anyway, those are my updates. 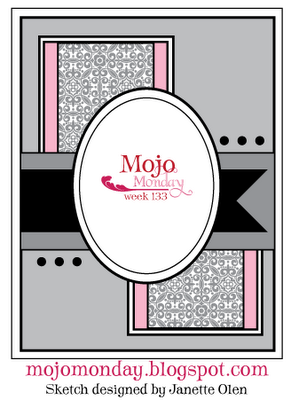 And JUST MAYBE, I'll win something from the Mojo Monday blog. :) Thanks again for all your support! SU! has a HUGE & EXCITING announcement! Here is the revised collection!! 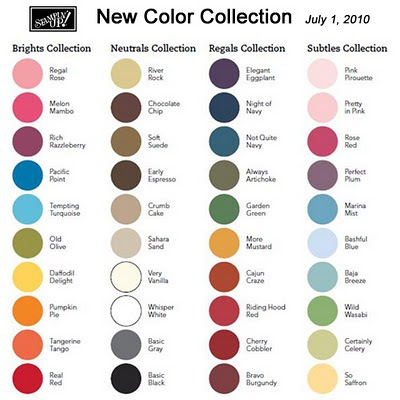 I will be sad to see a few of these colors go, but even so, I rarely ever use them and am more exciting about the new and returning colors. If you want any of these items (paper, ink, ink refils, markers, etc), I suggest you stock up before the new catalog release in July. No promises....BUT, I think I actually purchased the correct light replacements for my Studio-in-a-box and hope to take some quality pictures of some of the recent projects I've made!